Davido has reacted to the rumor that he has broken up with his girlfriend, Chioma, after the rumor spread that the lovers have gone as far as unfollowing each other on Instagram. 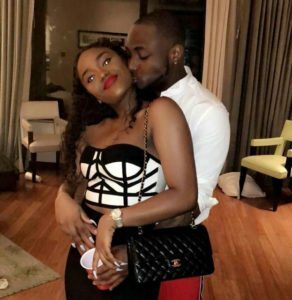 It was reported that Davido and Chioma were nearing a breakup following undisclosed relationship issues which caused the lovers to unfollow each other on the platform they have repeatedly professed their love for each other – Instagram. However, Davido laughed off the claim that he has broken up with Chioma. He made it clear that their relationship is as solid as ever. He said that himself and his girlfriend are still following each other on Instagram, stating that the account assumed by the rumor-peddler, to be for his girlfriend, is a fake account. Davido’s relationship with Chioma was recently in the news, for the claim by an alleged ex-colleague, that Davido deserves better than Chioma following her “promiscuous” ways but the singer has continued to reaffirm his love for the beautiful Miss Chioma.